Irritation is there in everybody’s life. You cannot avoid it because you cannot control your mood, your surroundings, other people’s behavior or time. Irritation is the natural reaction to anything in your life which you do not like to face. For instance, having a skin rash can create irritation or a chattering friend can create irritation or even loads of household work like washing dirty dishes can cause irritation and so on. So, you see there is no particular cause of irritation; it can be created by anything. So how to deal with irritation? The most obvious outcome of irritation is anger which is surely damaging for your self-development. 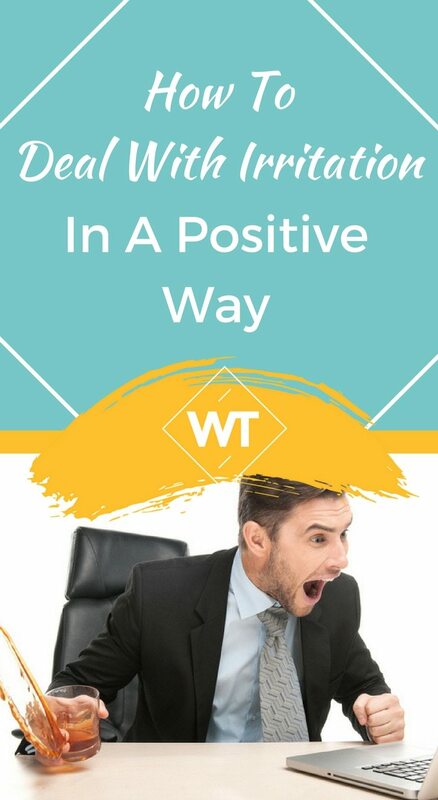 But, do you know, there are people who rarely get irritated or handle the cause of irritation in a very mature way and turn them into opportunities for self development. It’s up to you to decide whether you want them to make your life hell or help you in your self-development. The most obvious cause of irritation is lack of patience while facing or dealing with any particular situation or person or behavior. It is agreed that patience is a virtue but it is equally true that it is difficult to be mastered. When facing an unwanted situation, the moment we lose our patience, we become annoyed and cranky. For instance, at your workplace, you need to work in a multicultural atmosphere that can be really trying at times. You may have to deal with irksome colleagues, an unrelenting boss, hurdles to your office work, etc. 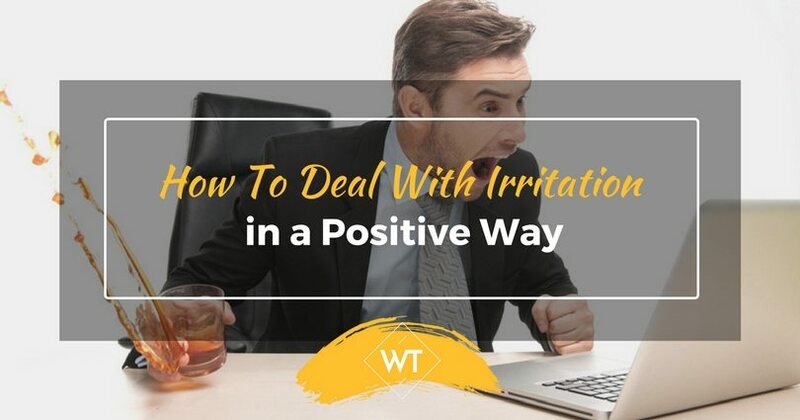 To cope with those kinds of irritations, you need to identify the situations that push you to get irritated and learn to deal with them. Before we try to answer ‘how to deal with irritation,’ it is important to understand irritation. There is only a thin line between irritation and anger. Irritation is feeling frustrated due to a particular situation—but it is not anger. It leaves you stressed and can leave you with a feeling that you are powerless or undervalued. It is a kind of personality conflict that you are dealing with. It is important to overcome this feeling because it will start damaging your personality and can ruin your relationships, concentration, and affect your productivity. Moreover, it can even give headaches and back pain. First of all it is important to develop your communication skills. It is important to develop more pleasant working relationships with your colleagues and try to understand their thought mechanism to be in sync with them. In addition, try to control your emotions as they play an important role whenever you get irritated or angry. It is important to learn how not to lose your temper on petty issues. To avoid irritation, it is important to stay calm and collected in any situation. Moreover, you should learn to make decisions in a well-informed way. Avoid making hurried decisions. 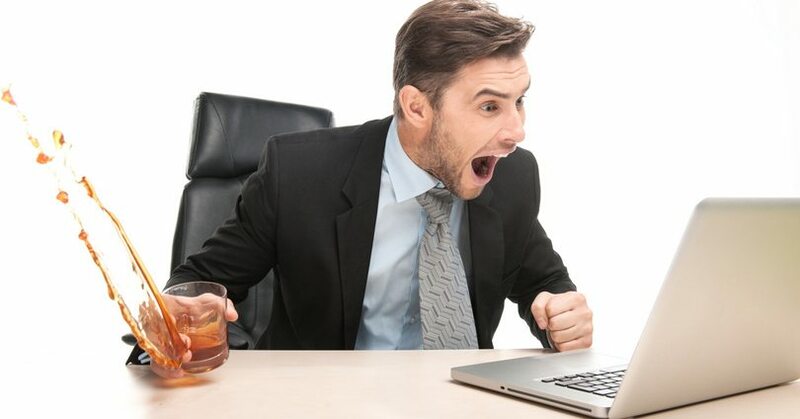 Before jumping to conclusions, try to view a larger picture behind those irritable actions.